We are excited to announce our club video subscription options for 2016, including the Team Pack, Individual Pack, and a continuing monthly subscription! 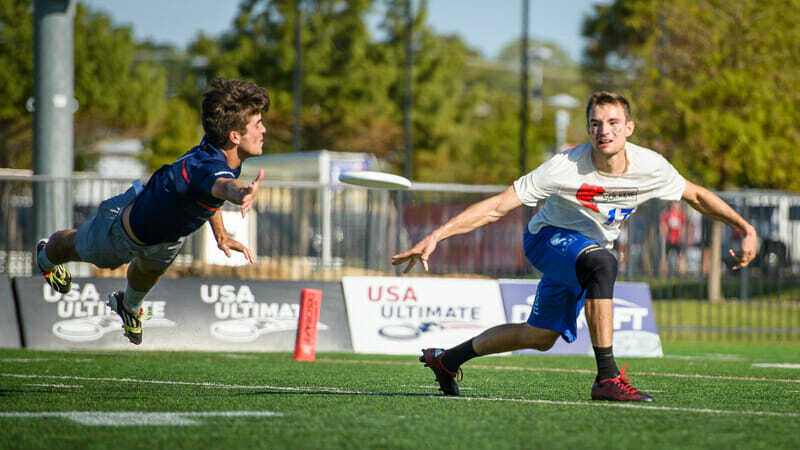 Ultiworld recently signed a two-year video deal with USAU to bring you action from the best tournaments and teams in the country. This year’s club package will include footage from the US Open, Elite-Select Challenge, Pro-Elite Challenge, Pro Flight Finale, select Regionals, the Club Championships, and possibly more. While our broadcast schedule for each event is still to be determined, expect a mix of Men’s (roughly 40%), Women’s (roughly 40%), and Mixed (roughly 20%) games. As before, we will require a subscription to watch archived video, but all of our livestreams will be 100% free on YouTube while the game is happening! If you were following along during the college season, you probably heard that we changed our video hosting provider to VHX. It upgraded our video offerings in a number of ways and they continue to innovate with numerous features built specifically for video producers like Ultiworld. – Monthly Subscription ($15/mo.). Subscribe for full streaming (stream archived video anytime) access to Ultiworld’s entire collection of games (including the full 2016 College Season and the 2015 Club Championships). Cancel anytime. – Individual Season Pass ($75). Subscribe to the 2016 Club Individual Pack for full access to Ultiworld’s videos from the club season. You will have both streaming (stream our video anytime) and download (VOD) access to games. As a bonus, you will receive instant access to the 2015 Club Championships video archives. Please go explore at our permanent web address for video access: video.ultiworld.com. From there, you can buy a subscription, access your subscription, ask us or the community questions in the forums, and more. Note that the Team Pack is purchased via PayPal via our Subscribe page. If you enjoy Ultiworld’s work and value our contribution to the ultimate community, please purchase a package or a subscription. As our primary product, the video sales subsidize the columns, news, and analysis posted on the website — and will also allow us make investments in more equipment to improve our video presentations (e.g., replay, multiple camera angles, more filmed games). Also, please purchase the package that reflects your actual use — we’re again appealing to the community to be proactive about sustaining our work. Sharing a login may not seem like a big deal, but we are a small enough business that (literally) every sale matters. For more background on our move to video subscriptions, check out our prior two posts on the subject. We are happy to answer questions in the comments below or by email at video@ultiworld.com. Orion Burt is the Director of Technology for Ultiworld. Born in Seattle, attended NYU, previously co-founded Fondu. You can reach him by email (orion@ultiworld.com) or on Twitter (@oburt). Comments on "Announcing the 2016 Club Video Subscription"